A sudden nosebleed can be quite frightening. 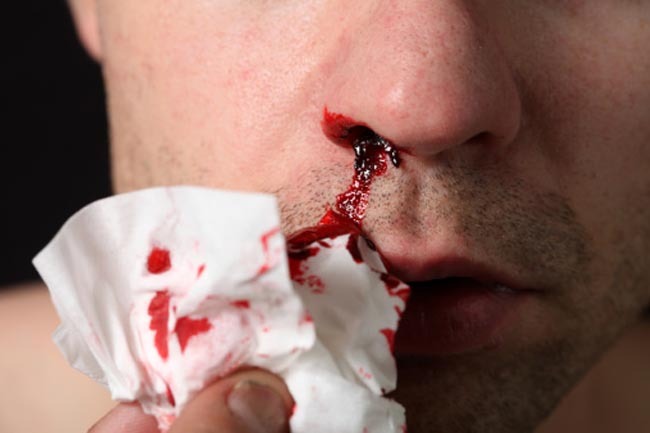 There can be a number of reasons for nosebleeds to occur, some of them being accidents, fighting, nose picking, medical conditions (such as high blood pressure and atherosclerosis) and medications (such as aspirin and anticoagulants). 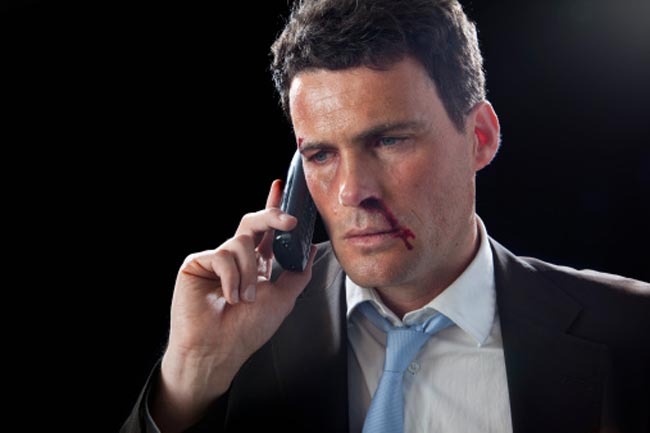 Here is what you should do to stop a bloody nose and to ensure that it does not come back. 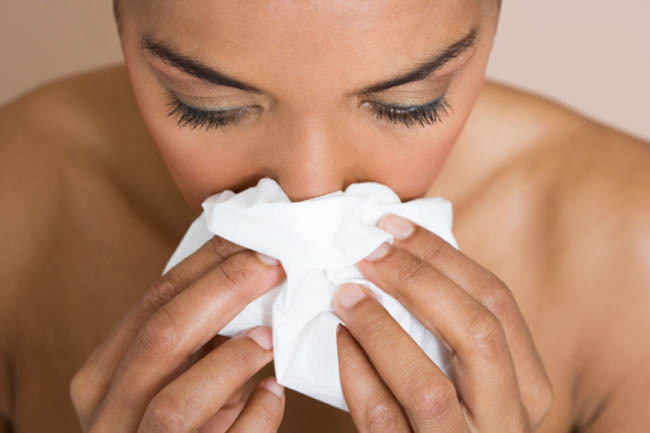 When your nose starts to bleed, reach out for a tissue or paper towel. Hold it up to your nose to stop the blood from getting everywhere. You may need to use an absorbent cloth towel for heavy bleeding. Don't blow your nose because it could make the bleeding worse. 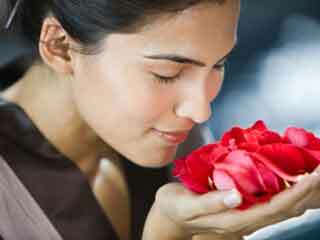 Blowing can further disturb tiny blood vessels in the nose and make situation worse. Get into a comfortable position and don't lie down. 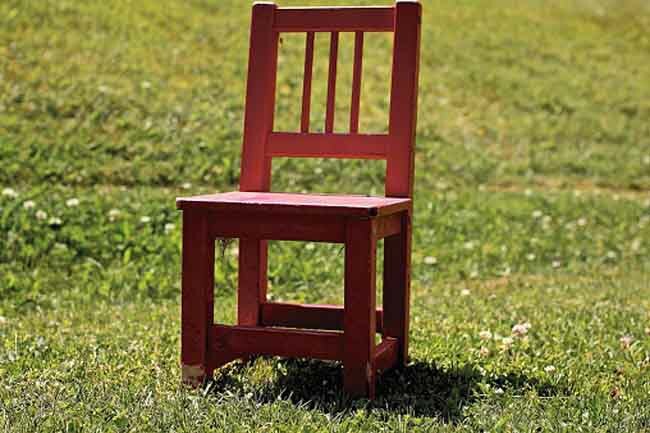 Ideally, you should sit and lean forward slightly. If you lean back to work against gravity and stop the blood, you may swallow it. Sitting down in a comfortable position helps you to take control of your nosebleed. Pinch the bridge of your nose so that the nosebleed doesn’t last long. The blood commonly comes from the fleshy front of your nose so piching it proves to be one of the best ways to stop the flow. 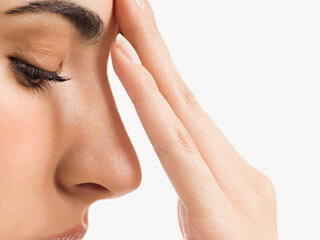 Use your fingers to pinch your nostrils shut for 10 minutes. Make a quick ice pack and apply it over the bridge of your nose. 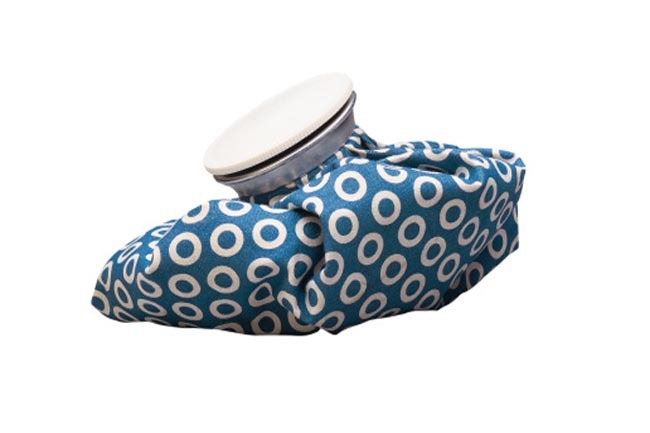 Cold compress helps blood vessels to constrict and slow the bleeding. Crushed ice is ideal, but cubed works too. 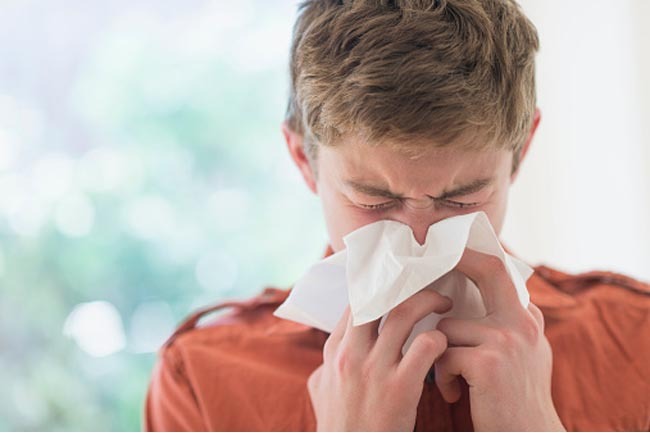 Other than cold compress, medicated nasal sprays can also help stop the flow. You should spray them before you begin pinching. Apply a light coating of a moisturizing ointment (such as Vaseline) or an antiseptic nasal cream on your nose to prevent nosebleeds from coming back. Most nosebleeds don’t require medical attention. You must see a doctor if you’re still bleeding after 20 minutes. Also, in the case of bleeding that starts after a head injury or if you suspect that an injury broke your nose, speak to your doctor. Most nosebleeds occur because of dry air or heat. Make sure you keep your body and your environment a little cooler. 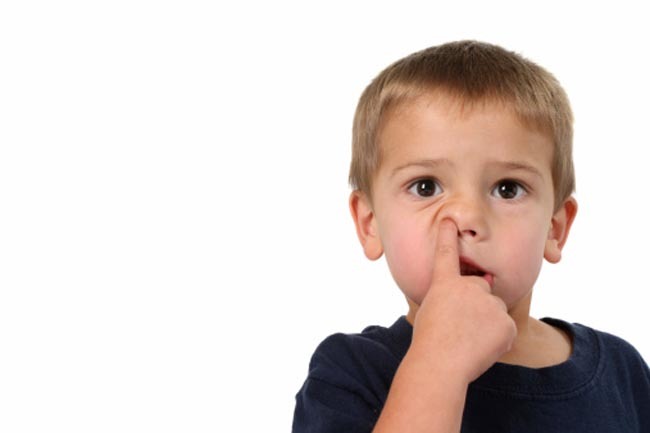 Avoid picking your nose too often.